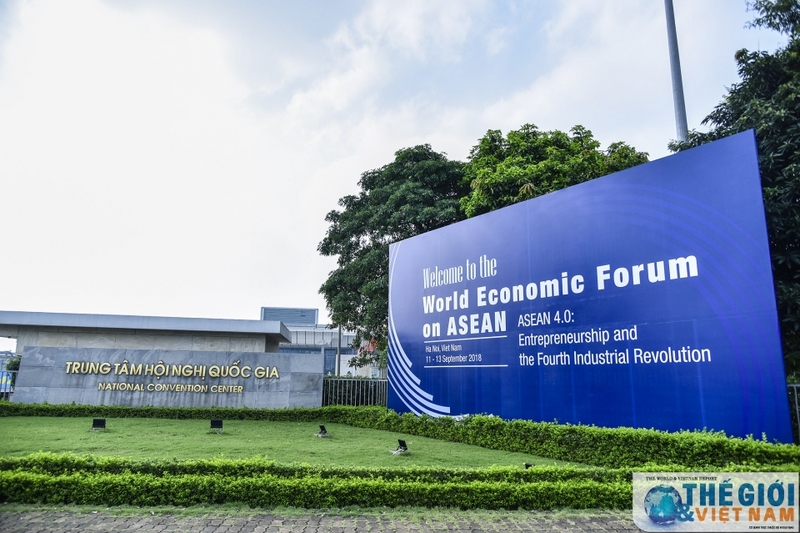 The World Economic Forum on ASEAN (WEF ASEAN) themed “ASEAN 4.0: Entrepreneurship and the Fourth Industrial Revolution” kicked off in Hanoi on September 11. The three-day event is expected to attract more than 1,000 delegates, including six presidents and prime ministers. It is a platform for Government leaders and Asian entrepreneurs to discuss and share their vision for the future, especially as we stand on the cusp of Industry 4.0. This is the third time the WEF has chosen Vietnam as the venue for a regional WEF, showing the strong development of the partnership between Vietnam and the WEF, as well as between the country and the international business community.With nearly 60 discussions, the forum is also considered a festival for member states to promote a positive image of ASEAN countries, convey their messages about a common house of the ASEAN Community with diverse cultures, diverse people, strong solidarity, a shared vision and a shared identity.As the host and co-chair of WEF ASEAN, Vietnam has included many issues it believes are key to ASEAN such as innovative startup, infrastructure and smart cities, employment in Industry 4.0, human resources development and hi-tech agriculture. Vietnam hosted the WEF on East Asia in 2010 and the WEF on the Mekong Region in 2016. This year’s event is also a chance for the country to foster cooperation with partners and attract attention and investment from the world’s leading enterprises. It will help the country access novel ideas and grasp development trends in the region and the world, especially amid Industry 4.0, and to serve the building and implementation of socio-economic development plans and business strategies of local companies. Hosting the event also reflects the Vietnamese Party and State’s policy of actively integrating into the world and responsibly contributing to common development and integration issues in the region. It will also help intensify the cooperation between Vietnam and the WEF in the future.